Before I write about this book, can I just go on a little rant? A couple of weeks before Christmas, I was at Costco and found a collection of fifteen Beverly Cleary books for under $30. I looked it over and noticed two of the Henry books (Henry and the Paper Route and Henry and the Clubhouse) and one of the Ramona books (Ramona Forever) were not included, but at less than $2 per book, I couldn't pass it up. I just thought I would add in the missing books later. No big deal. I might have to pay $7 or $8 for each one, but when I was saving so much on the others, it really didn't matter. I gave the set to Aaron for Christmas. He loved it. Still loves it. I was congratulating myself on a brilliant purchase. "That edition is no longer in print." I felt a little foolish because that's something I should have been able to figure out pretty quickly on my own without running around to three different stores, but I guess I just never expected something that was being sold at Costco two months before to be out of print. It's not that big of a deal really. I'm sure I can track down those books on ebay or at Saver's (I already found and purchased Ramona Forever), but the main reason I'm irritated is because I don't even like that edition! The updated illustrations clash with the 1950's text. I only went with it because it was convenient and I thought it would be easy to get a matching set. But now I'm going to have the hassle of piecing it together anyway (and I will piece it together because I do want them all to match). 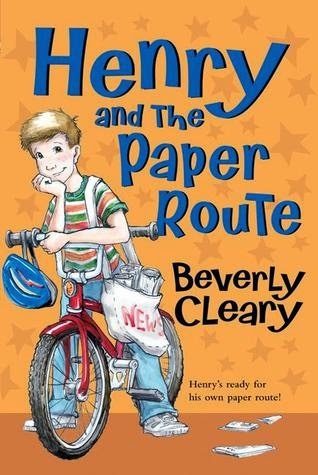 If you've read the other Henry books, you'll already know that Henry is very envious of Scooter's paper route. In fact, in Henry and Beezus, Henry has a chance to fill in for Scooter, and it almost turns disastrous when Ribsy won't leave the newspapers where they've been tossed. 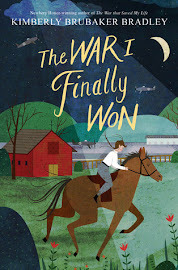 Scooter can be insufferably cocky at times, and he's no different in this book, but one day, as he pedals by delivering the papers, he asks Henry if he knows anyone who wants their own paper route. Yes, Henry knows someone. Himself! But Scooter says there's no way that's going to happen since Henry isn't eleven yet. So Henry sets out to prove that he is a responsible almost-eleven-year-old. In the meantime, he acquires four kittens (one of which he gets to keep), collects the most paper for the school paper drive, folds Scooter's papers for him, and meets the new boy down the street. Oh, and enough time goes by that he actually turns eleven, too. Just when he thinks things he'll finally get the job of his dreams, it slips out of his grasp. And if not for a certain annoying four-year-old (i.e., Ramona Quimby) it would have stayed far out of reach. Every time I read one of the Henry books, I get a little inkling of how much the world has changed in the nearly 60 years since they were originally published. For example, do you regularly see 11-, 12-, and 13-year-old kids delivering newspapers on weekday afternoons? Because I don't. And I never have in any of the places I've lived. All of the "paper boys" I know are actually adults who nearly run me over when I'm out running early in the morning as they toss the papers from their cars. And then there's the paper drive held by Henry's school as a way to raise money for a new curtain in the auditorium. Henry diligently sets about collecting all the unwanted paper around the neighborhood (if he accumulates a stack of papers that measures 30 inches high, he gets a prize). What a difference from the fundraiser Aaron brought home earlier this week! (What unwanted, unnecessary item would you like to buy from this catalog? We settled on the chocolate-covered caramels and sent the form back with him the next day without ever asking any family, friends, or neighbors.) Can you even recycle paper for money these days? I have no idea. But some things remain the same whether you were born in 1958 or 2008. At Henry's birthday party, "the boys entertained themselves by practicing artificial respiration on one another." 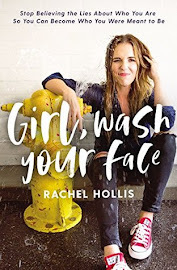 I just had to laugh when I read that because it was so random, and yet, I happen to know a bunch of adolescent boys who would be quite amused by that (and likewise, I know very few (if any) girls who would come up with that as a fun activity). Once again, Beverly Cleary hit the interests, humor, and frustrations of boys spot on. She's pretty amazing. Even though this was not my favorite Henry book, we still enjoyed it immensely. Like Ramona, we can always count on him for a story worth reading. I am so sad you can't get the last three books! I bought the same set at Christmas with the same idea. Maybe that's why Costco had such a good deal? My boy is too young for these, but I re-read (by listening) all the Henry books last year and can't wait to share them. They are so fun. And, I agree that there are some things that really date them (I think it's in Henry Huggins where he goes to the pool every Wed by himself for a few hours - that definitely wouldn't happen today! ), but somehow they mostly seem timeless. Such a bummer, isn't it? And yes, I think all of the things that date these books also make them absolutely charming and entertaining! I'm in my mid-forties, and I think I was among the last generation of kid-on-bicycle newspaper deliverers. Already they were transitioning to adults-in-cars, and newspapers in general were struggling. Nowadays it's hard to imagine that most cities even have an afternoon edition. Beth - I think you're right: even if parents still allowed their kids to deliver papers, there isn't an afternoon edition to deliver! On my son's fundraiser packet, it specifically said, "Do not go door-to-door making sales." Instead, their advice was to have the parent take the catalog to work to see if any co-workers want to help a kid out (even though most of them probably have children or grandchildren or nieces or nephews of their own). 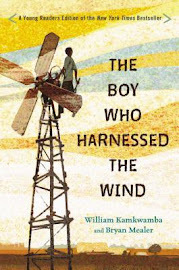 The kids and I loved this book when we read it last year or so. Maybe it’s time to read a few more Beverly Cleary books. By the way, I used to be one of those paperboys (girl in my case). So were Steve and Mary. And fortunately we live in a town where kids do go to the pool by themselves all the time. (referring to what KT wrote above) Of course, Anna (when she was a lifeguard) probably would have said that it would have been better if they had come with an adult. I forgot that you delivered papers as a kid!